Description: This is no ordinary hairstyle collection! 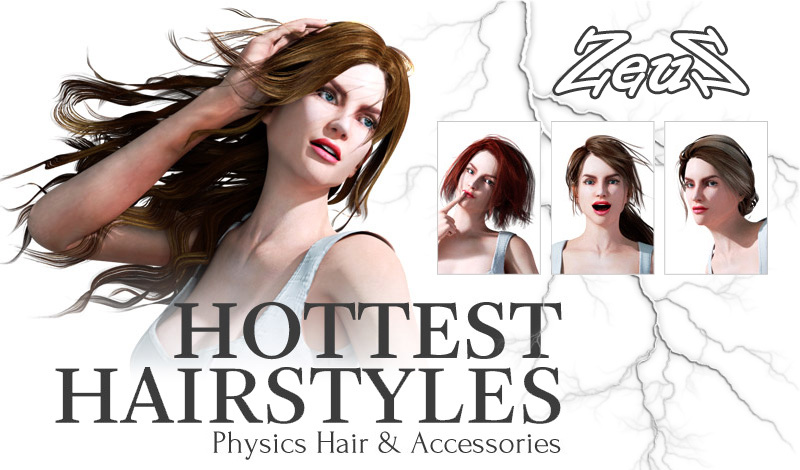 This fabulous pack includes 7 gorgeous hairstyles and 10 elegant physics-ready accessories that really demonstrate the fantastic level of flowing hair available in iClone 6. The hair sets and accessories are all in iAccessory format, so you can apply them to both iClone and Daz characters. If you think those hairstyles are too conservative, feel free to change the hair color and accessories to create more styles for your characters. Try using these physics-ready hairstyles and accessories together with our new motions such as "Suave & Charming" or any other motion pack on your characters to see the revolutionary improvement of 3D animation. 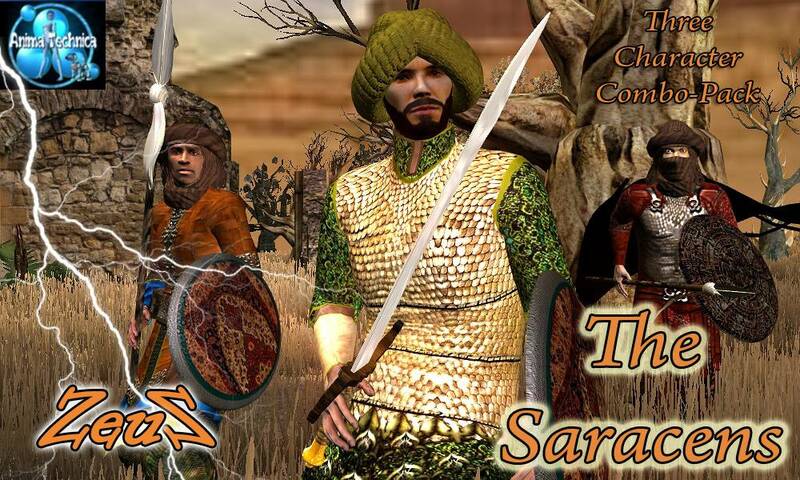 Description: The Saracens was a term used by the Romans to refer to a group of people who lived in the desert regions of Arabia. In the 12th Century, by the time of the Crusades, the term was used to describe followers of Islam who fought against the Crusaders. Includes all accessories shown - 3 hats, 2 hair, 3 faces, 1 face mask, 1 belt, 2 neckrolls, 2 spears, 1 sword, 3 shields. 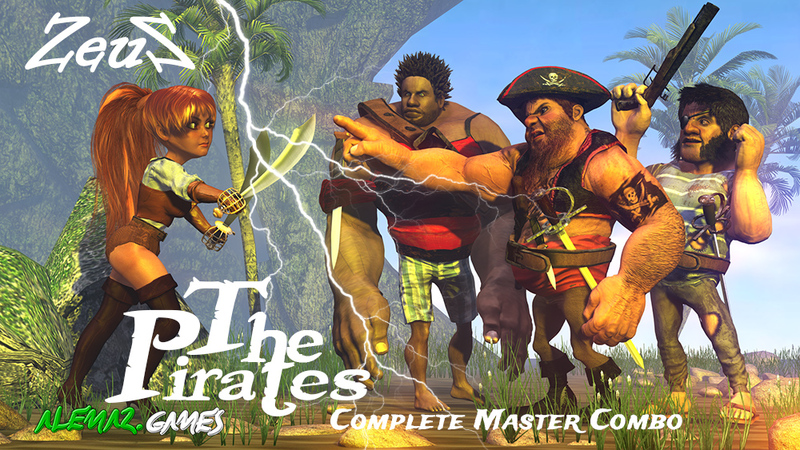 Description: This is Complete Master Combo Pack of 4 Pirates: PIET THE SAILOR, CAPTAIN AWILD, JOHN BLACK SAILOR and CAPTAIN REDBEARD - which of them will win the great treasure? 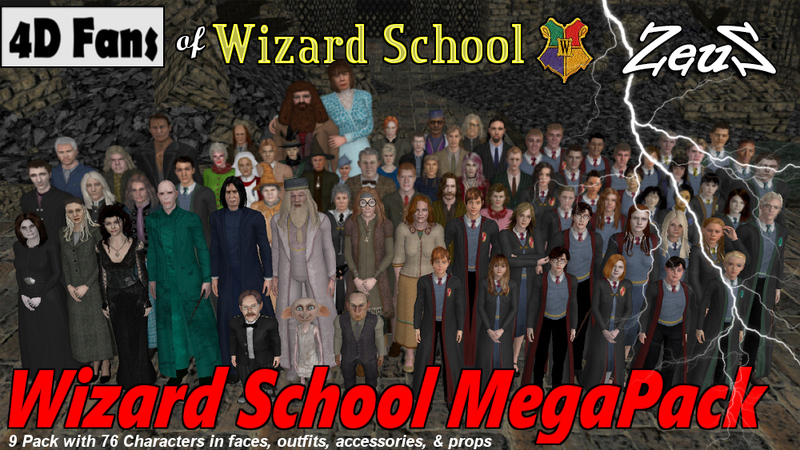 Description: Over 70 character with faces, outfits, and accessories to include Wizard School staff, students from all four schools, member from the order, from the ministry, villains and other assorted characters you know and love. Wizard School Packs are the culmination of greater than a year long effort to capture the essence the Wizard School. This Bundle are includes over 70 easily recognizable characters from the movies for you to create your own fan video. Description: This bundle pack includes all four styles and texture variations in the Glamor Hair Grouping. Styles are fitted to Gwynn's head, but consist of sub-props, which will allow you to resize individual parts to more precisely fit various head shapes. Description: This Bundle included all content from 13 face packs and 2 hair packs. All head models in bundle based on standard G5 facial bone system, but they have increased mesh resolution and photo-realistic textures (2K resolution). Note: PR5Hx2 products are custom photo-realistic heads with increased mesh resolution. They based on G5 facial bone system, fully compatible with standard facial animations and have smooth skin deformation. PR5Hx2 Heads specially created for PR5 characters, but can be used (as standard G5 heads) with any G5 and G3 characters. - no support for Eyelash Length changing. and of course You can do this in external 3D programs (ZBrush, Blender ...) after exporting mesh to OBJ file in 3DX5 Pro or Pipeline. Also these heads have custom texture layout (UV) and materials created for standard G5 heads do not compatible with these models. Description: The design of Chinese Civilian Outfits theme pack is based on the outfits and accessories of people of different occupations at the end of Qing Dynasty and the beginning of the republic era (1900-1928). It was a chaotic time when many touching stories happened. If you want to make films of the period, this theme pack is your ideal choice. Using G5 CloneCloth as Character Base, the Chinese Civilian Outfits includes the outfits, shoes, hair styles, and accessories of students, laborers, farmers, and bourgeois. We also provide an Asian female face and an Asian male face. This pack features interactive Persona Perform motions between family member, friends & lovers. The precise positioning of interaction is achieved by using AML Command. This pack includes various types of hugs and multiple dramatic actions which can be used in all kinds of movies such as drama, action, romance, or sci-fi. What are you most interested | Чего вам больше всего хочется? Buhta.WS © 2010-2019 | Disclaimer | DMCA Policy | This site does not store any files on its server. We only provide images and links to content provided by other sites.